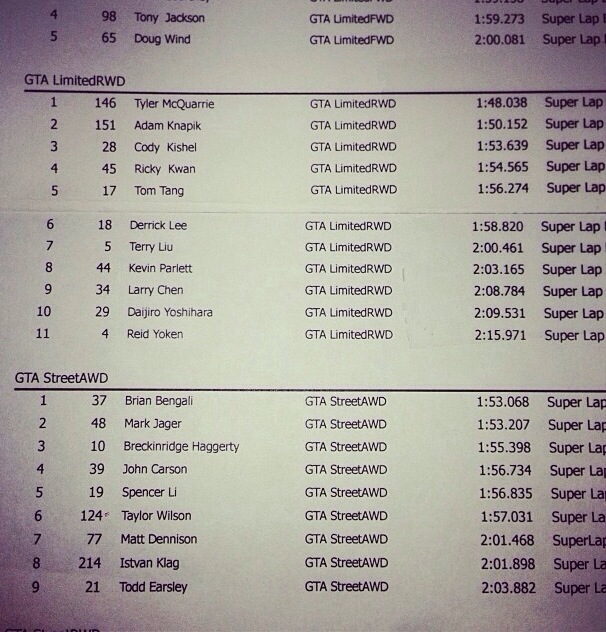 Super Lap Battle only comes once a year and with this year came the best completion in years. Hundreds of hours of preparation and modifications go into each car with the hopes of glory and recognition hanging in the balance. Throughout 2013 my car has been going through an immense transformation from basic street car to a record breaking and one of the fastest cars in street class. 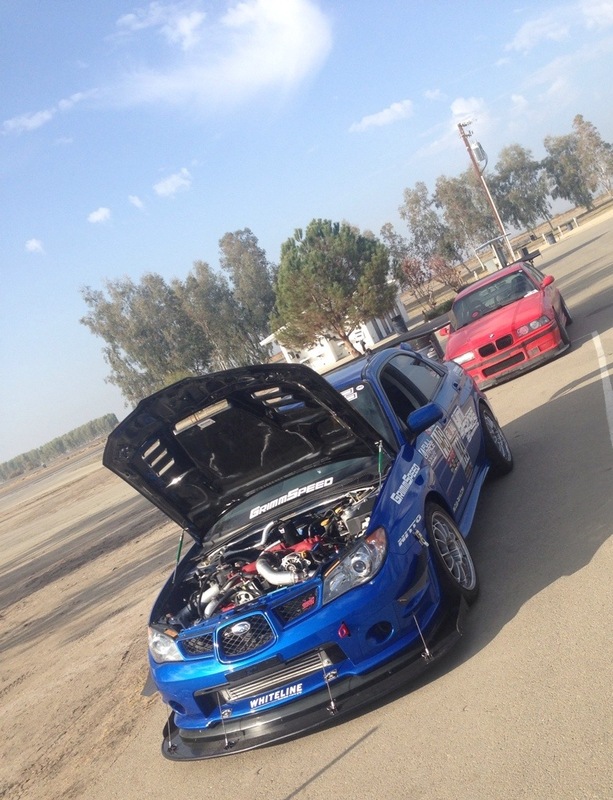 With last minute modifications to the car, the team headed out to the Buttonwillow Raceway Park the Sunday before to test and see what the modifications we would do to the car. Even on old scrub street tires I was able to best my fastest lap at BRP, which was set during theJuly at Redline Time Attack, with a time of 1:55.1. This put us into prime position to put on a new set of tires and break the 1:54.7 Awd street class record, which was set by Alex Peng. 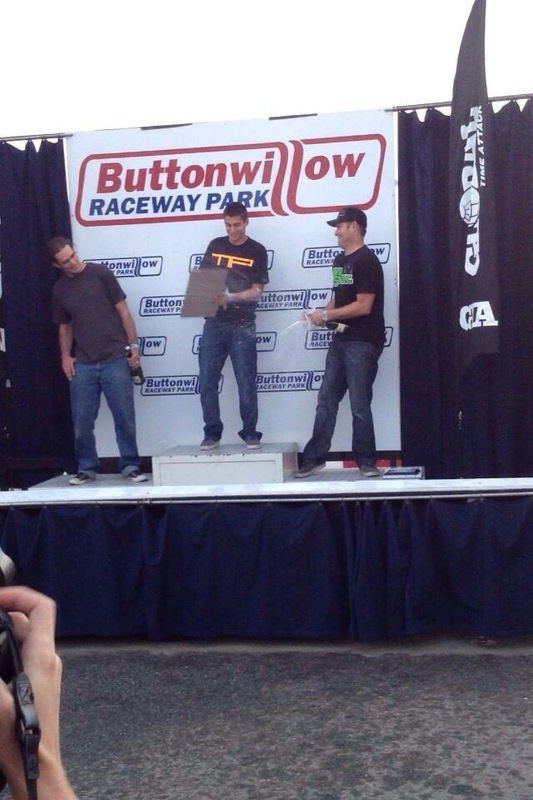 Additionally, this provided an opportunity to challenge the overall street class record of 1:53.9 set by Rob Walker. AWD Street Class restricts competitors to 255 wide 140tw tires. The Jager Racing car is further limited by restrictions set by Redline Time Attack. The RTA rule which has the biggest impact is the turbo inducer rule -restricting it to 50mm. With that configuration, on a fresh set of tires, I was able to take the car and run around BRP with a time of 1:53.207. 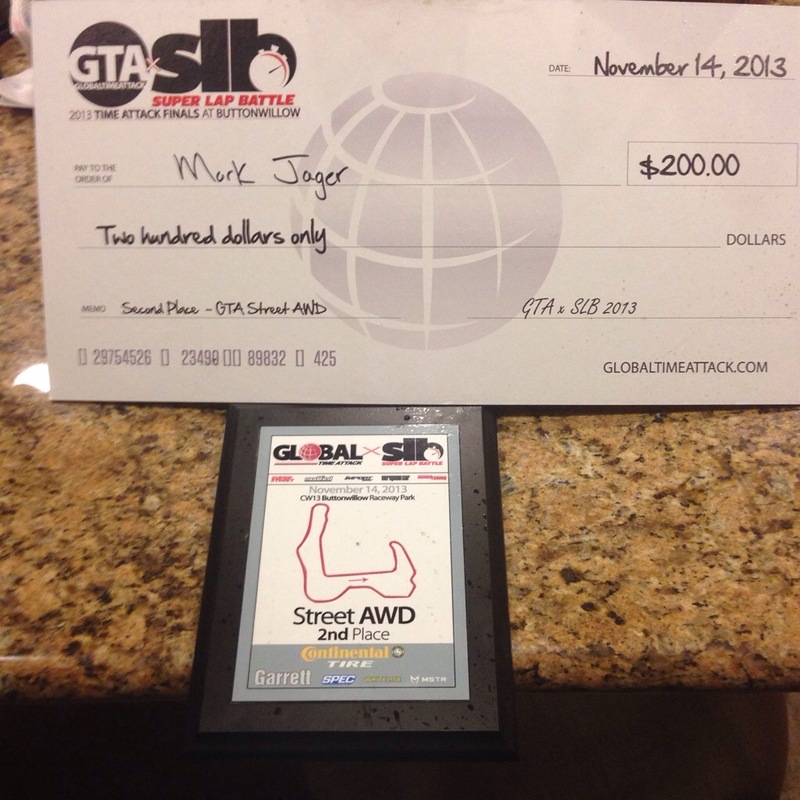 This time broke the AWD street class record as well as the street class record overall. But, within that same session, Massimo Power was able to pilot their car to a 1:53.068, putting me in second place. Another attempt in the second times sessions was executed, but I was unable to accomplish a better time. The team set up for another shot after lunch with high hopes. With the track clean and gridded up by lap time, I set out. Coming out of the last turn on the warmup lap under full throttle, the 4th gear in the transmission let go and our day was done. 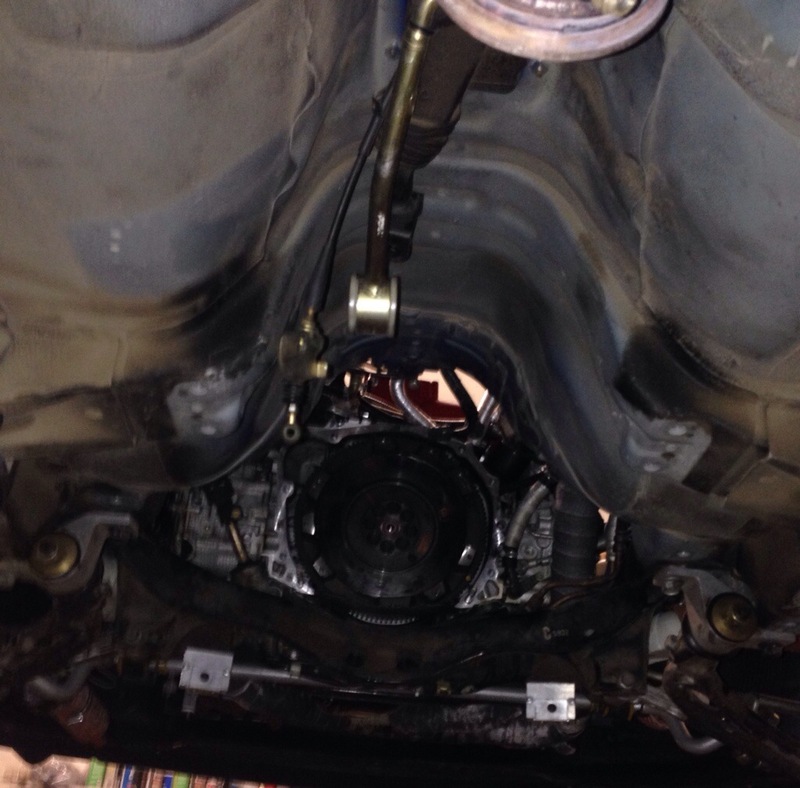 A years worth of development and anticipation was over with a mechanical failure. Even with such a disappointment, the team understood the feat that they were able to achieve. 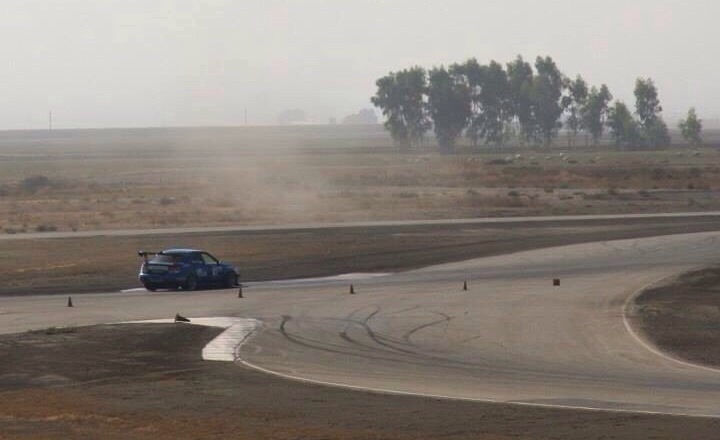 Being able to break the existing Awd and overall street class record meant that we are faster than all but one driver and car that have ever competed in Time Attack at Buttonwillow Raceway Park. We then walked over and congratulated our winning competitor on their amazing time and accomplishment and readied for the awards ceremony and for the battle to come… Our journey is not over! 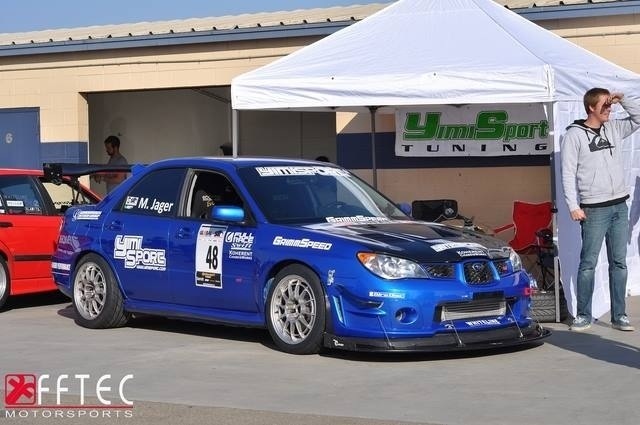 This entry was posted in Super Lap Battle and tagged 2013, battle, buttunwillow, Jager, lap, park, raceway, racing, slb, sport, sti, subaru, super, tuning, wrx, yimi. Bookmark the permalink.